2016 has been a memorable year in music. There have been some positives, like the Guns and Roses reunion, Metallica’s long-awaited new release, but 2016 will also be known as the year that we lost some of the greats: David Bowie, Prince, and Glen Frey, just to name a few. One thing is for certain, the singers and their bands that have donned the stage in 2016 have been extraordinary and without comparison to recent years. From Steven Tyler to Iron Maiden, Pearl Jam to Metallica, concert goers of all genres have had the opportunity to satisfy their concert fill in 2016. 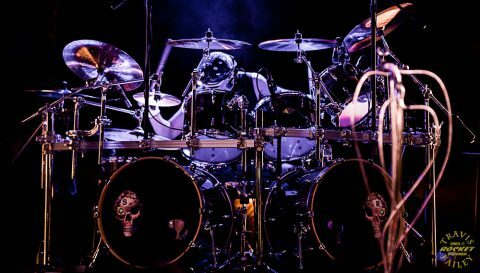 Just when I thought that the hard rock/heavy metal tour schedule for 2016 couldn’t get any better, the Queensrÿche “Condition Human” tour was announced with Armored Saint as its special guest in Ybor City. I was shocked to see that Armored Saint was on this tour, especially with a Tampa stop on their schedule. 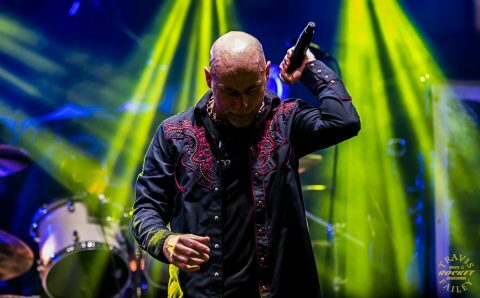 To my knowledge, and according to lead singer John Bush, Armored Saint had never played in Tampa before, and due to issues with the original promoter, they almost didn’t. Fat Harry Productions stepped up in a big way, saved the day, and the show at Ybor’s Cuban Club went off without a hitch. 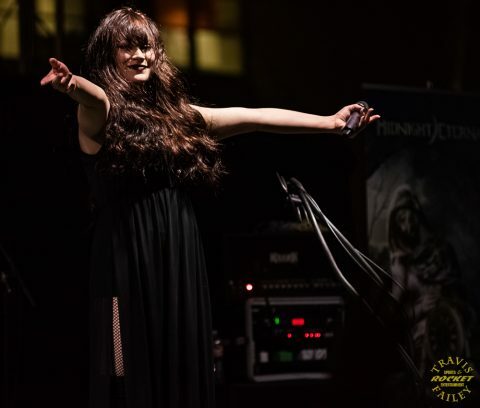 After Raine Hilai and Midnight Eternal got the crowd warmed up with songs from their self-titled debut album, Armored Saint took the stage and opened up with the title track from 2015’s Win Hands Down. 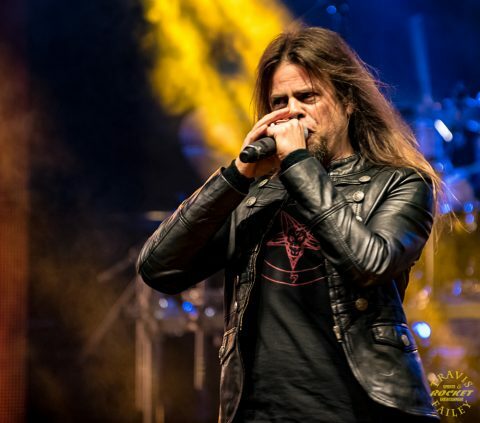 Vocalist John Bush whipped the crowd into a frenzy early, particularly during 1984’s “March of the Saint,” and “Last Train Home,” from their highly respected 1991 release, Symbol of Salvation. Symbol of Salvation was Armored Saint’s last release, before they went on an extended hiatus that lasted until 1999. 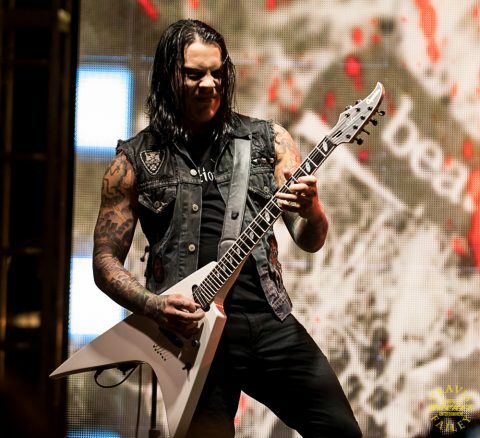 It was also during this period that John Bush was the vocalist for Anthrax, replacing Joey Belladonna. Armored Saint incorporated their classics with new material, not only from Win Hands Down but also “Left Hook From Right Field” from the highly underrated 2010 release, La Raza. 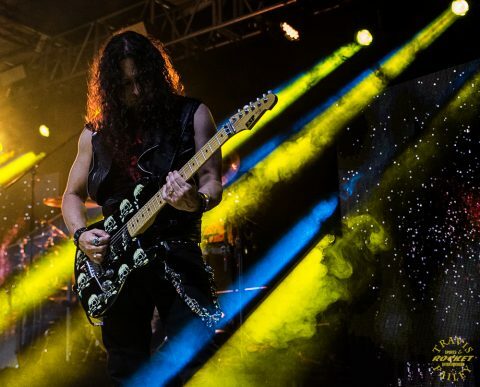 The dual ax team of Jeff Duncan and Phil Sandoval, along with bassist Joey Vera, put on a stage show that young bands should take lessons from. 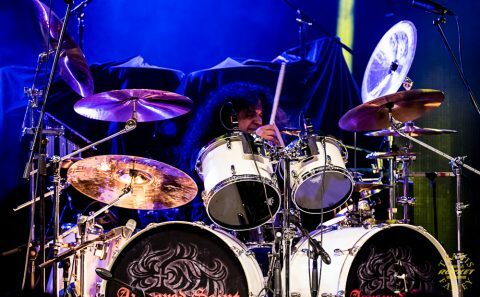 They jammed non-stop while Gonzo Sandoval manned the back line producing thunderous beats from behind the kit. Speaking of Gonzo’s brother Phil, he performed visual guitar gymnastics throughout the set and was amazing to watch live. 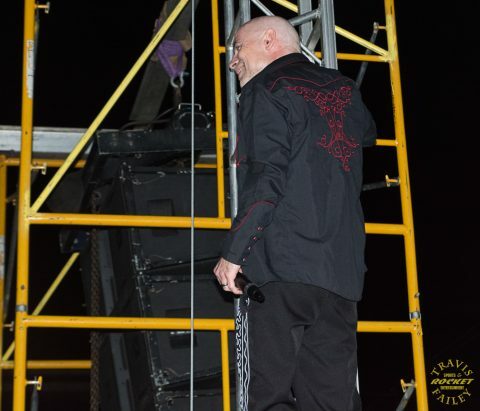 Armored Saint finished its set with its two biggest hits to date, “Reign of Fire,” and “Can U Deliver,” while John Bush climbed the scaffolding high above the Cuban Club’s moonlit courtyard. 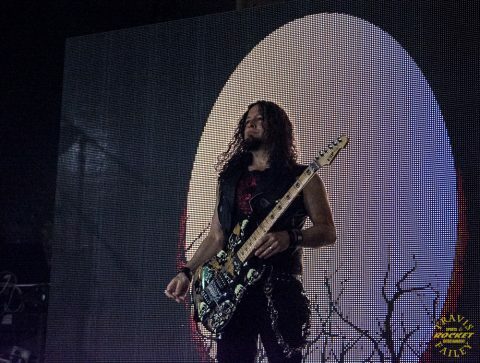 John Bush proved once again that he should be on the list of the all-time great metal singers, as he sings with energy, emotion and power, and he doesn’t rely on back tracks or processors. Bush is also a perfect example of a singer has taken care of his voice, which has prolonged his career, not only as a singer, but as a professional voice-over specialist. 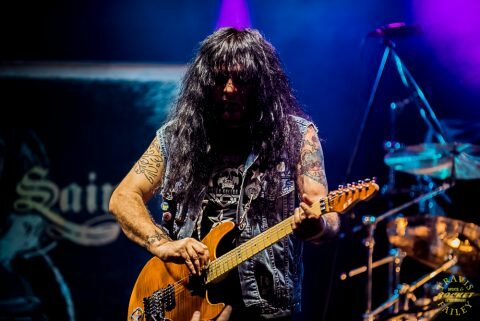 As the final notes rang out and Armored Saint left the stage for the tour bus, I heard fans buzzing about what they just witnessed. 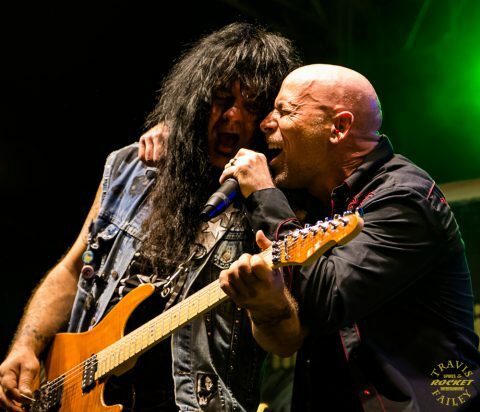 It was another amazing performance by a band that should have been in the same conversation as the other metal greats, but due to timing and other factors Armored Saint didn’t reach those heights. 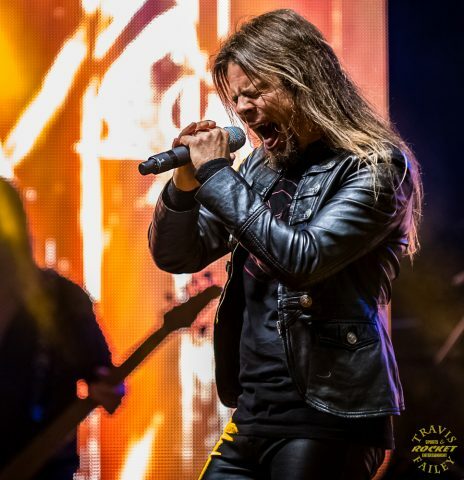 Tonight’s headliner was a rejuvenated Queensrÿche with singer Todd La Torre coming back home for a special performance after being out on the road for over a year supporting Queensrÿche’s critically acclaimed Condition Human release. 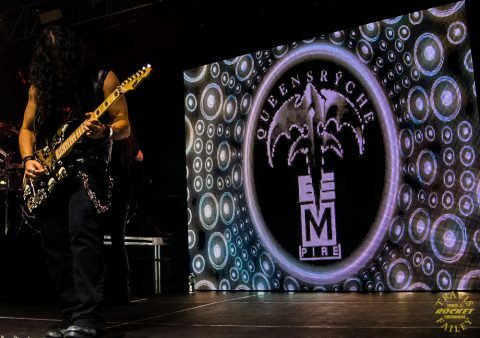 A lot of Queensrÿche’s fans questioned the legitimacy of the band after they replaced/fired Geoff Tate. To answer that question, all you have to do is see this band perform live. 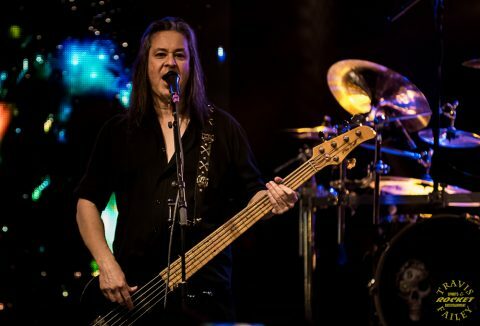 Todd La Torre not only nailed the new material; but also the classics from Queensrÿche’s self-titled EP released in 1983, throughout the Promised Land years. 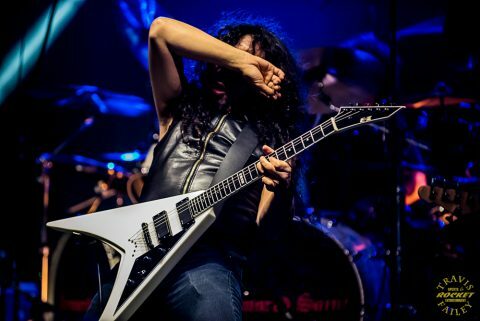 Guitarist Michael Wilton was on fire on a cool outdoor night in Tampa. 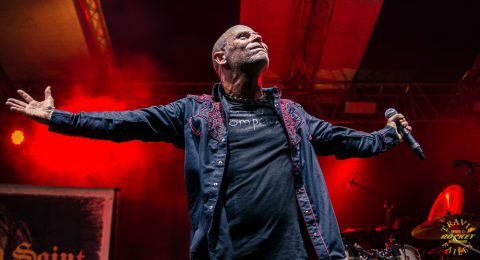 I’ve watched this band throughout the highs and lows of their career, and the founding members, including bassist Eddie Jackson, Drummer Scott Rockenfield and Wilton all look like they found the fountain of youth. Queensryche closed out its set with “Screaming in Digital,” then “Eyes of a Stranger” after performing arguably their strongest song in years, “Hellfire.” “Hellfire” showcases all of the band’s musical talents, especially Scott Rockenfield’s drumming and La Torre’s vocal range with amazing harmonies from Parker Lundgren and Eddie Jackson. After the show, La Torre hung out with old friends and new fans alike in the Cuban Club courtyard. La Torre is a perfect example of how hard work and dedication pays off. Many hugs were given, pictures were taken, and memories were made. 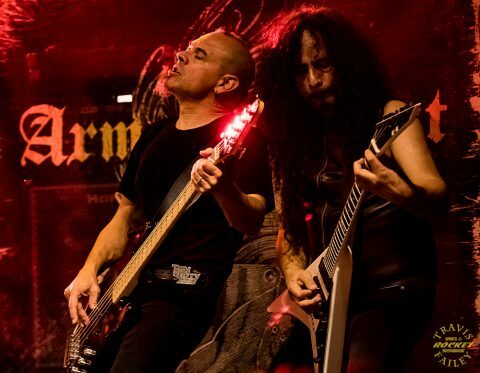 Armored Saint and Queensrÿche have taken two different but similar paths to the Cuban Club in Ybor City on Thursday night. 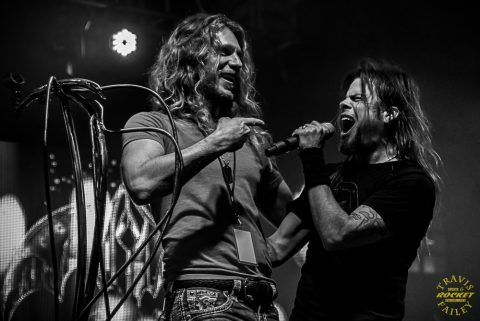 Both have experienced lineup changes and have had their ups and downs but both bands are stronger now due to their resiliency. 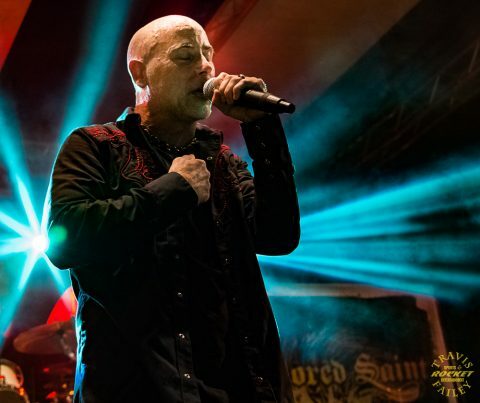 It’s with that strength, that Armored Saint and Queensrÿche released some of their best material in years, and the direction arrow for both of the bands’ futures seem to be on an upward swing.